Jimmy Jangles presents: The Optimus Prime Experiment: Polar Bears are cannibals? Who knew? I'm not sure the victim in this picture knew any way. 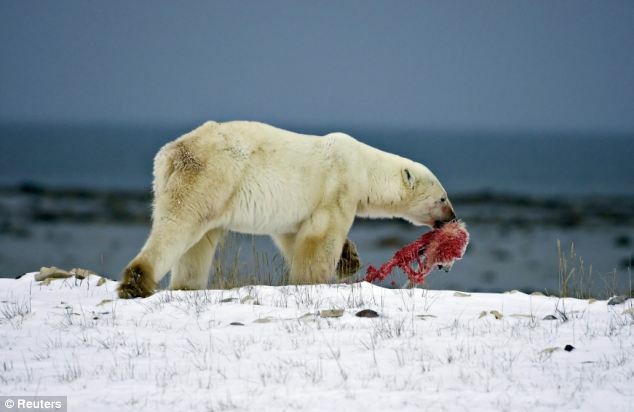 Check it out, the polar bear has totally made a McHappy Meal of this baby polar bear. What used to be cute, well... it's lunch now. This Reuters photo shows what happened on a snowy day north of the Canadian town of Churchill. As usual, some Al Gore loving hippy claimed that this behaviour was the result of climate change and lack of food etc as a result however a level headed Innuit noted that a male polar bear eating a cub is a normal occurrence. Indeed a retired Environment Canada biologist Ian Stirling says evidence suggests cubs are being killed for food, not just so the male can mate with the mother. Mean while, in one particular Zoo, polar bears get to eat horse. 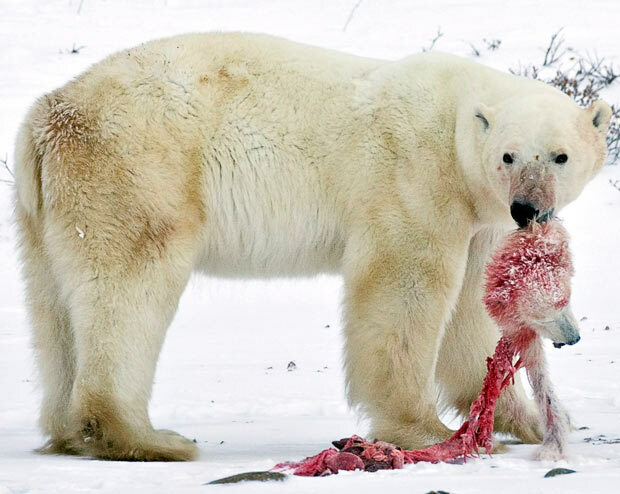 All animals are actually cannibals, including bears. I like how you mock hippies for suggesting it's for food, then back it up with an expert opinion. Lol. Maybe you should poll the bears up close to find out why they kill each cub.